SORRY NOW SOLD. MORE REQUIRED. 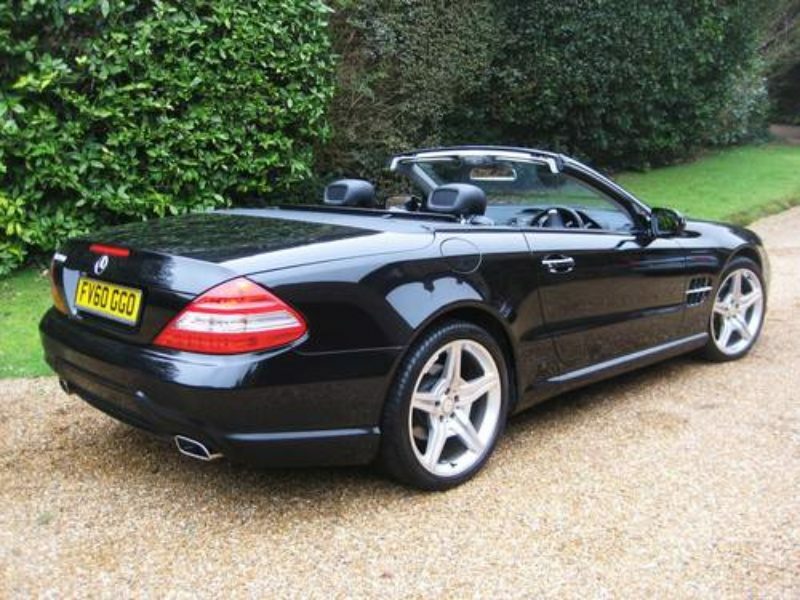 ONLY 31,000 MILES & 1 P/OWNER FROM NEW. 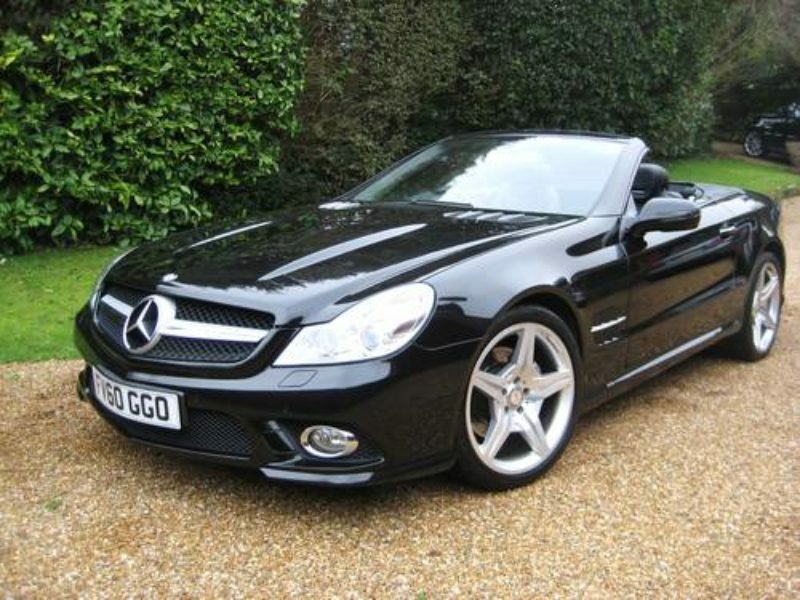 MASSIVE SPEC SL350 AMG Sports finished in unmarked Obsidian Black Metallic with full black leather & aluminium inlays. 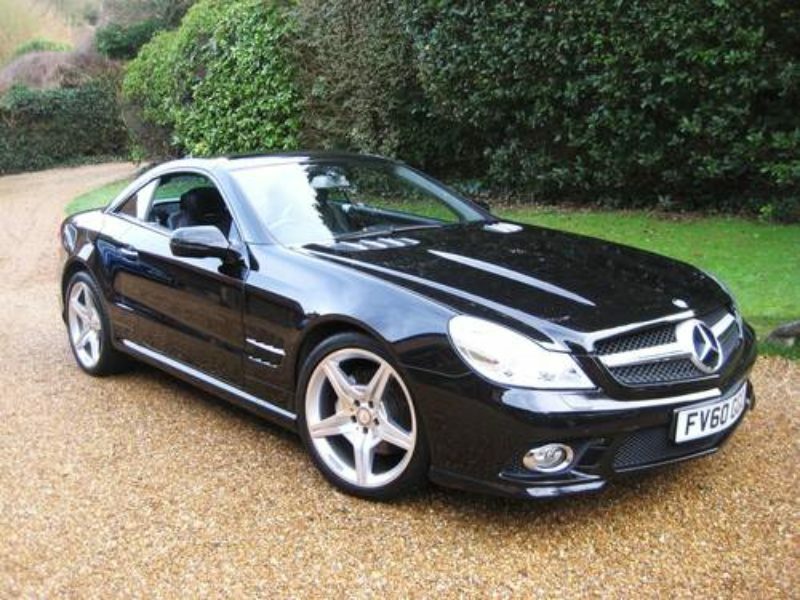 Specification includes AMG Bodystyling with unmarked 19″AMG polished 5-spoke alloys, panoramic glass roof, keyless go, Airscarf (neck level heating), electric heated & ventilated comfort seats with memory settings, Harman Kardon Logic 7 surround sound system (11 high performance speakers), Comand Satellite Navigation System, Digital TV tuner, Telephone pre-wiring with hands-free, universal consumer interface, intelligent light system, front & rear Parktronic (audible & visible), 7G-Tronic automatic transmission with steering column gearshift paddles, wind deflector, Bi-Xenon headlights, fitted TRACKER system, fitted MB carpet mats etc. Cost new in excess of £77,000 with a whopping £12k of optional extras. 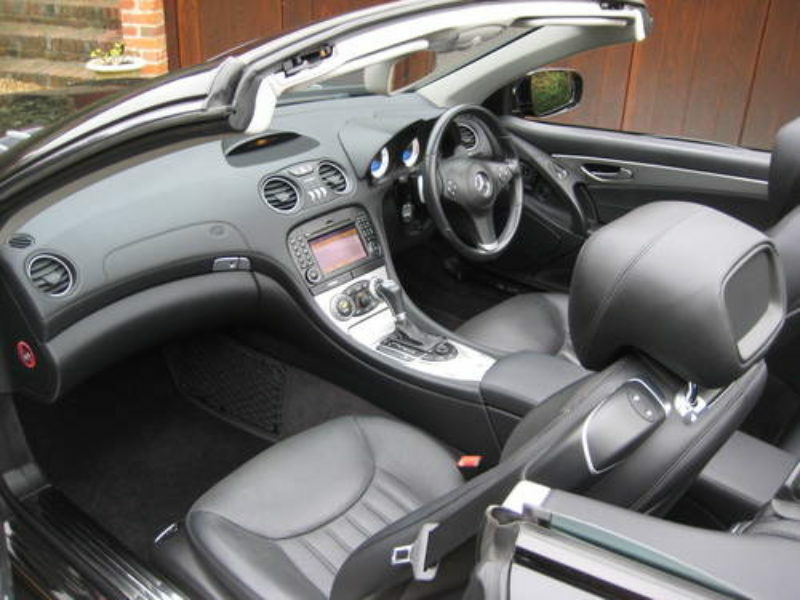 Supplied new by Mercedes Benz of Lincoln & with a fully documented Mercedes Benz main agent service history from new (whole folder with every supporting invoice from new). Having been serviced every year to cate. Last done at 29407 miles. Complete with owners book pack + both remote keys. 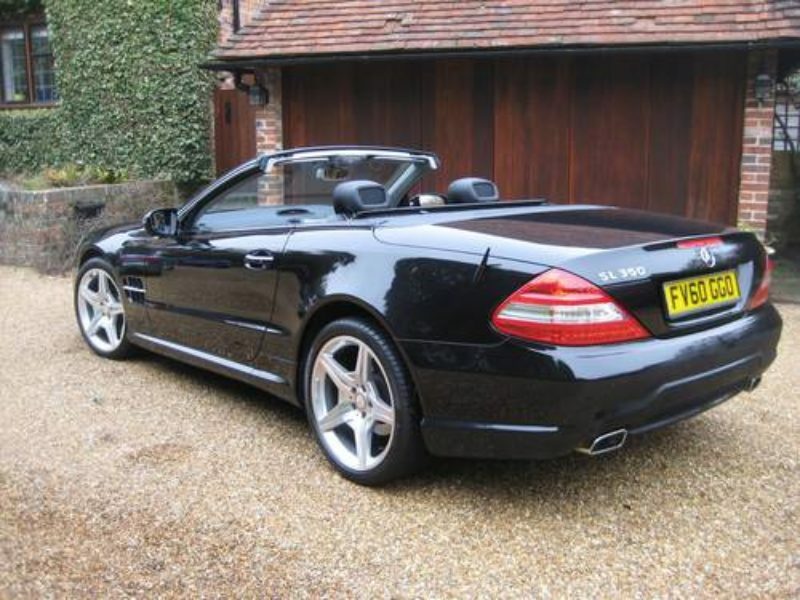 THIS IS AN ABSOLUTELY STUNNING LOOKING LOW MILEAGE EXAMPLE KEPT IN PRISTINE CONDITION THROUGHOUT BY IT’S FASTIDIOUS OWNER. THIS MUST BE THE BEST AVAILABLE. IT’S TOTALLY UNMARKED.